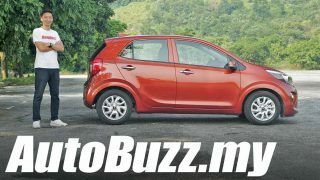 It was about high time for this article to be posted, but there were many unforeseen circumstances that prevented me from testing the Suprima S. Putting that aside, I’ve finally managed to get some valuable insight on the Suprima S.
For starters, the key fob still needs to be inserted into the keyhole, before you can push start the car. Some may complain that there is still a need for the key to be inserted, and it isn’t a pure “Start-Stop” system like how the rivals have. But to me, it does the job pretty fine. Also on the interior, the seats are really top notch. They hold you well, and they don’t get hot over time. Dashboard material is the same like the Preve, where there is a nice soft touch material. Unlike the Preve’s dark brown material around the dashboard, the Suprima S’s faux white carbon-fibre like details are a good welcome to me. Some may not like it, but to me it contrasts well with the rest of the interior. The headunit is manufactured by Blaupunkt, and runs a customized version of Android. There’s not much to write about for the headunit, but it does offer Bluetooth streaming, AUX in and GPS. Now, onto the drive. The SA told me to drive through some rougher patch of road to get a better feel of the car, and I was totally sold. The comfort levels of the car, isn’t something I would expect, as it was running on 45 series rubbers with a set of 17” rims. Bumps and potholes were very well dampened, and doesn’t get overly trashy. Noise level is also very well contained, unlike the Preve, the CVT noise here is almost nonexistent. The only sound is the spooling sound after 2000rpm, which will remind you of the CFE engine under the hood. Unlike the older non-turbo Campro engines, the CFE unit has no torque-dip issue. Torque is instantaneous and thanks to the CVT gearbox, acceleration is smooth. Engine noise is noticeable when revving at a constant 5000rpm, but for city driving and normal highway cruising, it wont be an issue. 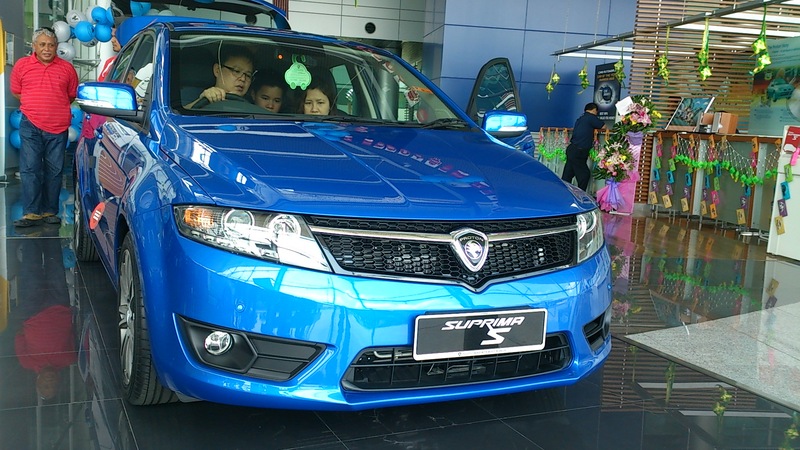 What’s my take on the Suprima S? For me, it’s by far Proton’s best effort. Small niggles aside, those who bought the Suprima S will no doubt be enjoying the driving dynamics and the peace of mind due to the extra safety kit it offers. For just a tad bit below RM80,000, it’s quite possibly one of the best to drive with the best feature kit around. But if you do need the boot, then have a look at the Preve LE which was launched recently. A self proclaimed car nut. Enjoys every moment of driving, even better when coupled with some smooth jazz in the background. Weekends are usually spend by fixing and mending his own ride, at home. Был найден мной популярный сайт про направление www.avtokum.com.